What’s going down in Downtown Baltimore? Downtown Baltimore. For over ten years, the city has been trying to fix it up… but what is going on with the downtown now? Why is it not busy with activity, fun, and people? Ten years ago, the plan was first introduced to fix the business district by converting old office spaces into apartments. So, there has been an increase residentially. 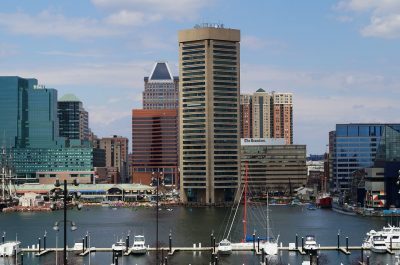 Many high-end apartments and residences were created north of the Inner Harbor, leading to thousands of people living in the historic core of downtown. But, now what? What have the changes done to impact the rest of the area, and why are things not getting better, as city officials hoped? Crime. While it can be a problem for any major city, some of the problems in Downtown Baltimore are causing residents to move away. There are several trending “pranks,” such as the “sucker punch” attacks by the youth in the city. They will sneak up on random passersby and punch them in the face. Apparently, these attacks have been happening for years. This is only some of the crime in the City Center. Other violence have deterred people from moving into the area. Another issue? The fancy new apartments. While these were intended to make Downtown Baltimore better by bringing people into the city, they may be doing the opposite. Since the apartments are luxury and full of a variety of amenities, most residents rarely need to leave their buildings. In fact, they don’t really need to interact with neighbors or the downtown area at all. This isolates residents to their respective buildings. Finally… the run-down buildings and streets throughout the city. The new apartments were made to look nice and luxurious, but what about the rest of downtown? Many residents complain that buildings are run-down, street lights are broken, sidewalks and streets have not been fixed. Residents say that officials have taken too long to address many of these problems. So, what is the solution? What will help Baltimore residents feel more part of the city and the downtown? For starters, some residents have come together to create the City Center Residents Association. Some property and business owners have also created a group to work on the appearance and safety of the downtown area. While some additional City Center events have been successful recently, many believe that more need to occur. This will get people out into the downtown area and feel like part of the city. Residents want to care about a city that cares about them. So… how will Baltimore city officials continue to work on this in the new year? It seems that 2019 is now the moment for change.